Want a fun way to spice up your kids lunch, or even your own? 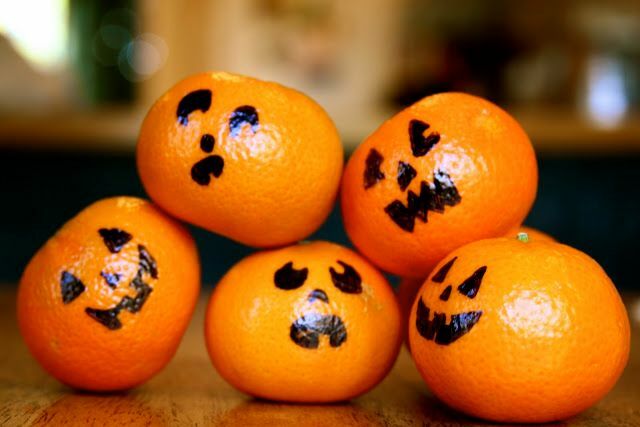 Try drawing on clementines, tangerines, or oranges! Not only are they small and easy to carry around, they also resemble miniature pumpkins that you can easily transform into festive jack-o-lantern for Halloween. Just use a black sharpie and draw whatever design on the outside of a tangerine. You can get as creative or as spooky as you want to! Not only are they healthy snacks, but they are also great decorative items to show off to your friends and family.